Here we are again. 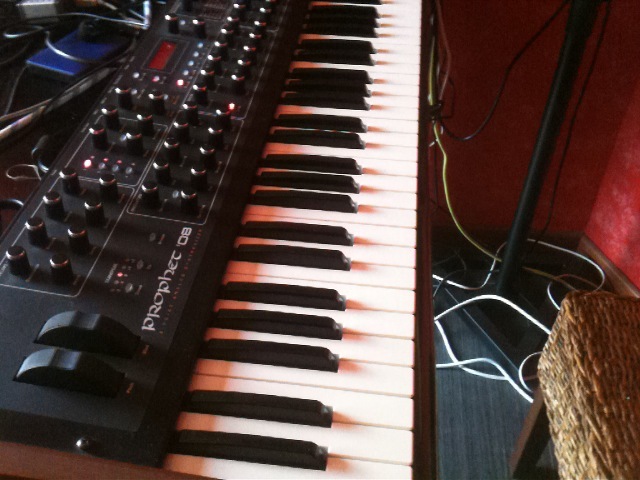 Recently I bought a second hand DSI prophet ’08. I was looking for some kind of synth that let me inspire by a real instrument or maybe help me on the workflow of creating music easy. I’ve been in trouble with computer, trying to sync everything and loosing valuable time not rehearsing or creating. I found a good deal of first revision prophet ’08, I’ve been tested it, and finally bought. My first intention was go first for an elektron octatrack, and later to prophet… but second hand market can change this decision easily. Octatracks are not popular on second hand, and have no price loose. prophet was a better choice for a second hand deal. – ipad running DM1 drum machine with some roland vintage drum emulation, imic sound interface and spreading midi tempo by usb and midi din. – microkorg XL making some background latched. 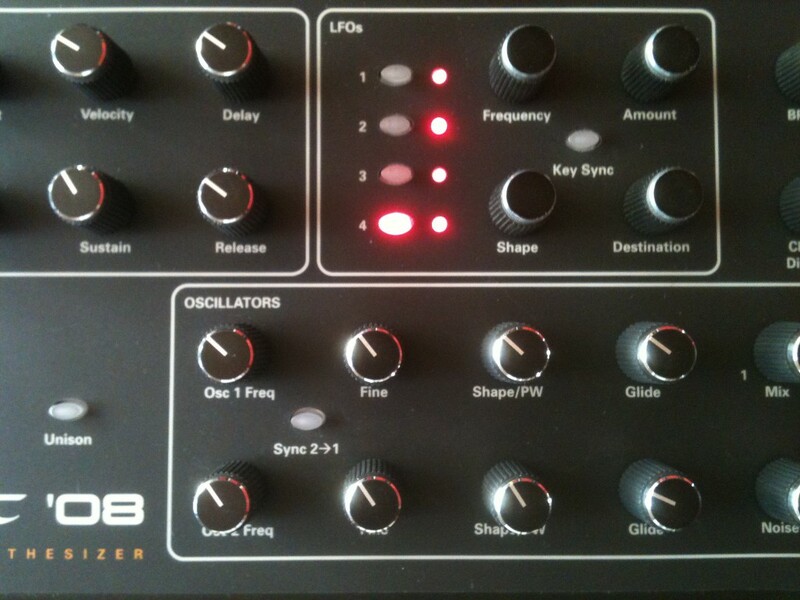 – prophet ’08 one track with arpeggio and other as lead. Finally monotribe was out. At first was synced properly by usb (moded with usbtribe), but later it won’t sync anymore.